This play by Thornton Wilder is a hell of a ride and a laugh a minute. It also shows a sequence of characters archetypical in theatre as well as in life. There is the rich grumpy father who hates to spend his money, his naive little daughter who is in love for the first time, the aspiring artist who loves her back, the young employer, who wants to experience an “adventure”, the big hearted aunt with the shady past and finally the matchmaker, Dolly, who by looking for husbands and brides for others is always on the hunt for a husband of her own. Directed as the farce it was intended to be, The Matchmaker is a fast paced fun play that works with stereotypes that were the cause of much laughter since Einen Jux will er sich machen by Johann Nestroy (1842) – a play that at times seems to go along the same lines of plot and moral – both plays end with the realisation that adventures are great, just as long as they are not too much of an adventure – and that it’s best to have “the right amount” of sitting at home and having an adventure in ones life. It’s all about the fantastic actors, though: Seana McKenna is absolutely outstanding as Dolly. A wink here, a half smile there and the audience is enslaved by her skills. She had me laughing so loud, she actually was looking my way: when Dolly finally accepts the marriage proposal she had been working towards to for months – the mock weary “I’ll try” with just the right amount of being worn down was absolutely priceless. Add to that the grand Tom McCamus as Horace Vandergelder whose first and foremost reason to live is to be rich and not spending a bit is an ironic, fun and true depiction of someone with not much joy in said life. His dialogues with Dolly are hilarious, the way his blustering ego is outnumbered by the woman a lesson in acting. 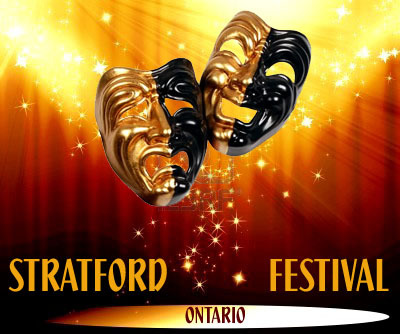 This entry was posted in Stratford Festival Ontario, theatre and tagged einen jux will er sich machen, Geraint Why Davies, hello dolly, nestroy, nora mclellan, seana McKenna, Stratford Ontario, Stratford Shakespeare Festival, thornton wilder, Tom McCamus. Bookmark the permalink.